Today is the Community Ya rd Sale. Check it out because one person’s junk is bound to be someone’s treasure. If you have “anything with a plug” left after your sale, don’t throw it away. Bring these items to the Public Works Garage Monday thru Friday between the hours of 7am and 3pm. 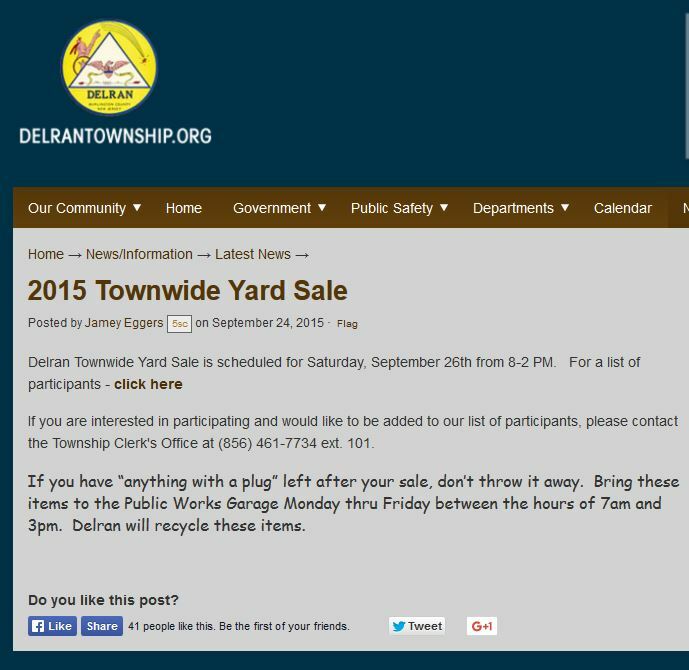 Delran can recycle these items.